Welcome to our 1964-1966 Thunderbird store. 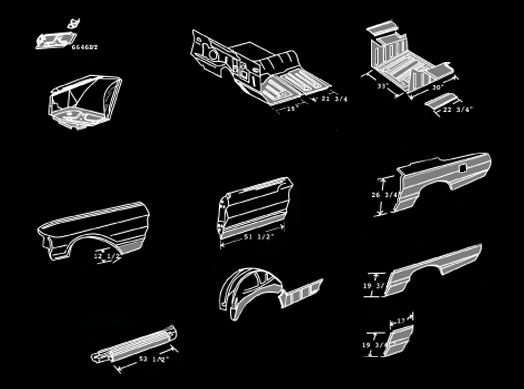 The image on the left is an exploded view of your 1964, 1965 or 1966 Thunderbird. All panels are made from 20 gauge steel.